Hello. Is this bait safe for pets (dogs)? We get this question quite often. Think about it like table salt. If your dog were to eat more than a tablespoon of salt it most likely would get very sick and possibly die. However, if you use it sparingly, and only sprinkle a little here and a little there, then it adds flavor and is perfectly safe. The same goes with granular baits such Advance Carpenter Ant Bait. It is simply sprinkled very sparingly along the outer foundation and places where ants can find it. It also can be placed into attics, walls, etc. Hopefully this analogy of table salt makes sense. 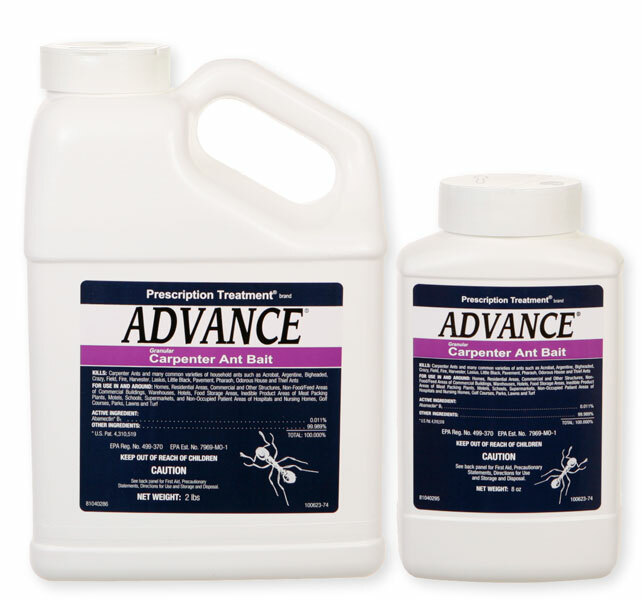 Advance Carpenter Ant Bait has roughly the same toxic properties as table salt.